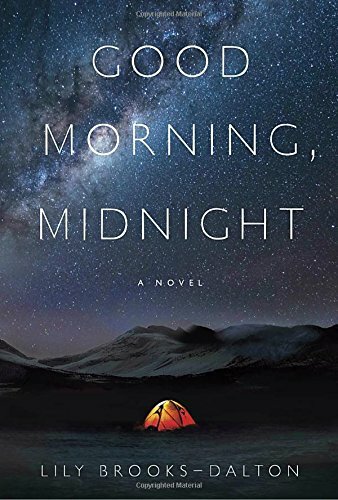 Augustine, a 78-year-old astronomer accustomed to remote outposts and solitude, is working at an Arctic research station when catastrophe strikes the planet. Everyone leaves. He remains behind “for the sake of his life’s work.” An enigmatic child then appears, apparently left behind during the hasty evacuation. Who she is and where she comes from we are not told. She rarely speaks. And yet the hermetic Augustine develops an intensely caring attitude toward her. Questions of loss and identity begin to unfold. Far out in deep space we meet an expedition heading home from Jupiter. Radio communication from mission control suddenly stops. Two weeks of silence pass, leaving the small crew to wonder whether there is even an Earth to return to. When they reach the International Space Station it is abandoned, and the lights of Earth below have all gone dark. Only Sully, a mission specialist, clings to hope and searches for survivors. Improbably, she makes radio contact with Augustine. But he knows nothing, and they are able to speak for only a few minutes during each orbital pass. And then even that dies out, leaving two worlds without people facing an existential problem that has no solution. Civilization has collapsed. A few seconds of radio contact between strangers comes to assume central importance. The novel’s premise is bursting with potential. And yet two–thirds into it we still don’t understand what connects the earthly and interstellar protagonists. We don’t learn what Augustine and Sully think, or the personal meaning of what has befallen them. What particularly undermines the high-concept story is writing that calls attention to itself. It pulls the reader out of what novelist John Gardner called the dream. As with real dreams, it is hard for a once–awakened sleeper to get back into it. The narrative dream of Good Morning, Midnight is intruded on by logically incoherent sentences (“the entire sky was burning. He basked in its muted glow”), prose that veers toward purple, and metaphors that try too hard or else are oddly anthropomorphic (“the blunt fist of the telescope’s dome rose defiantly higher”). Ambiguous syntax is unintentionally hilarious (“He impregnated a beautiful woman with a razor–sharp mind at the research facility.”) The spaceship commander repeatedly states the obvious, and his idea of leadership is to ask everyone else for suggestions. This is not to say the book isn’t worth the effort, but it could move more. Obstacles arise, such as a severed communications antenna, but they are too easily solved. On the surface nothing much happens, but other works (e.g., Briefing for a Descent into Hell) have more deftly plumbed seemingly static and repetitive situations. And that is the point. What is left when everything is gone? What does it mean to be alive in the universe and the grandeur of vast emptiness?